Getting diagnosed with Crohn’s disease can be stressful and overwhelming. To make things worse, the initial diagnosis is usually followed by more bad news: Crohn’s disease has no known cause and no known cure. Newly diagnosed patients may leave the doctor’s office feeling pretty discouraged. If you’ve battled the symptoms of Crohn’s long enough to experience your first flare-up, you probably aren’t satisfied with the prospect of just accepting a life of discomfort and pain. Even simple tasks like running errands or planning your day are stressful when you’re worried about your next flare-up. Don’t lose hope. By exploring the functional medicine approach to Crohn’s disease treatment, you’ll discover that it could be possible to live a normal, comfortable life. Crohn’s disease is part of a group of conditions referred to as inflammatory bowel diseases (IBD). Crohn’s disease typically affects the small bowel, but it may also affect any other part of the GI tract. Crohn’s disease affects over 700,000 Americans and is most common among people between the ages of 15 and 35.1 Crohn’s is slightly less common than another inflammatory bowel disease, ulcerative colitis. Because the symptoms of Crohn’s disease are similar to other diseases, testing is necessary to obtain a diagnosis. Crohn’s disease is an inflammatory disease in which the immune system attacks harmless, healthy gut bacteria. Inflammation then occurs as part of the immune system’s normal response to this attack. Over time, this leads to chronic inflammation and a thickening of the intestinal wall. The exact cause of Crohn’s disease is unknown, but it is widely accepted that diet and stress are common triggers. There may also be genetic, lifestyle, and environmental components that increase the likeliness of developing Crohn’s. These results offer some insight into the role of a healthy gut microbiome as it relates to relieving the inflammation associated with Crohn’s disease. How Can Functional Medicine Treat Crohn’s Disease? Conventional medicine’s response to Crohn’s disease, like so many other diseases, is to treat the symptoms. Standard treatment options in conventional medicine include immunomodulators, anti-inflammatory drugs like steroids, and antibiotics. 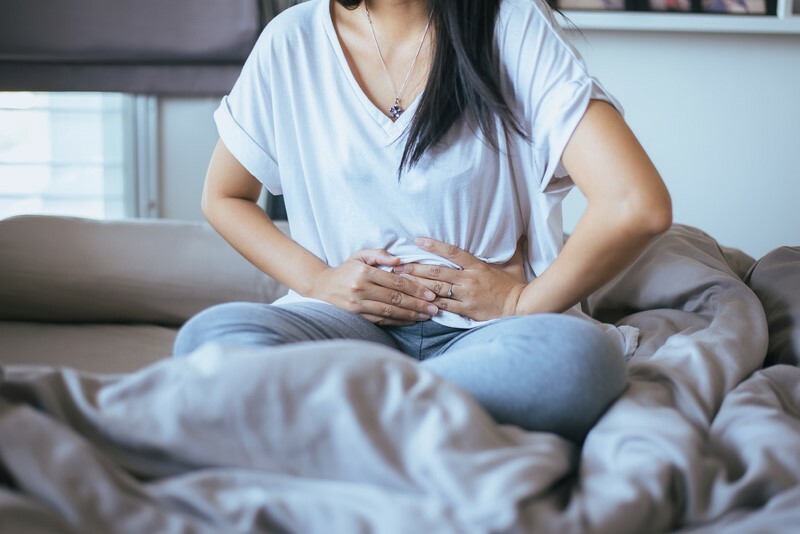 These treatment options work to treat some of the acute symptoms of Crohn’s disease but often come with a host of unwanted side effects. Patients who are seeking a more holistic approach to Crohn’s disease treatment may want to pursue the help of a functional medicine doctor. 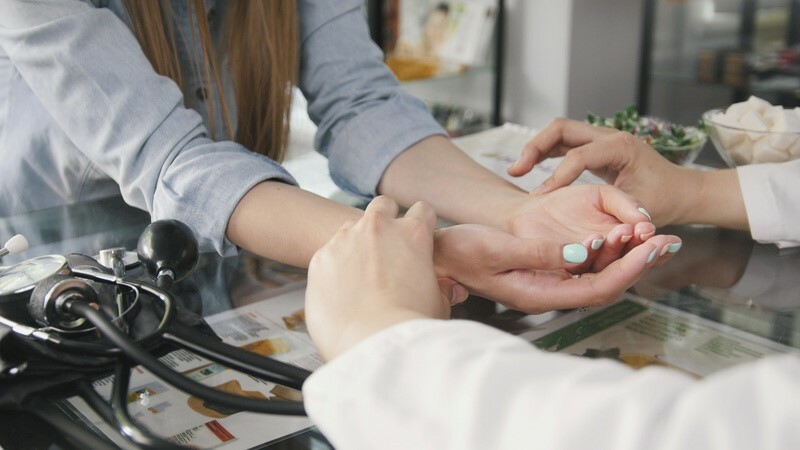 Unlike conventional medicine, a qualified functional medicine doctor can help you improve your overall health and wellness to get to the root of your Crohn’s disease symptoms. Even though there is no known cause of Crohn’s, functional medicine supports treating the underlying cause for each individual, not for the disease itself. Functional medicine places a unique emphasis on the role of inflammation and digestion as they relate to overall health. These functions are, of course, even more important to people diagnosed with inflammatory bowel diseases. Given that each patient is different, a personalized plan that aims to reduce inflammation and optimize digestion can bring great relief. What Can a Crohn’s Disease Patient Expect from Functional Medicine? This plan may include a variety of treatment options and modalities depending on your needs. The following are some functional medicine treatments that often produce positive results for patients with Crohn’s disease. As the western diet progressively includes more and more GMO and processed foods, people are beginning to experience the effects of malnutrition and illness. Enzyme replacement nutrition is designed to address these nutritional and functional deficiencies. A series of tests can help you determine which enzymes your body needs to help with digestion, immunity, mineral absorption, and energy. Enzyme supplementation can help relieve the chronic symptoms of Crohn’s disease. In addition to supplements, it is also important that you eat the right diet to reduce the discomfort associated with Crohn’s disease. Functional medicine doctors can offer a structured nutritional counseling program customized to your unique needs. Although dietary changes are more common, exercise is an almost equally important component of healing Crohn’s disease. However, it is important to choose an exercise routine that doesn’t create additional stress on the body. Lifestyle counseling is a great way for patients to learn which exercises and movements are best for reducing both stress and inflammation. Acupuncture is an ancient practice that involves using ultra-thin needles to stimulate the body’s natural healing mechanism. 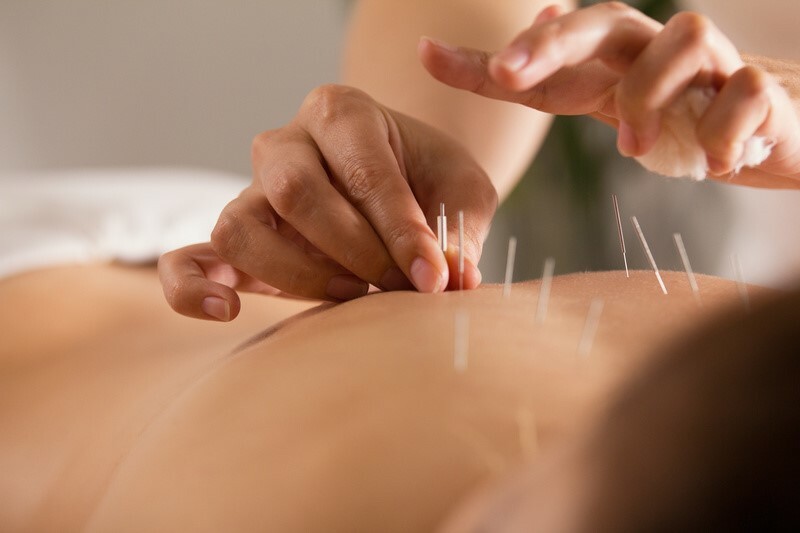 Acupuncture can help reduce pain and inflammation in the body without the use of drugs. For people with digestive problems, acupuncture is a great addition to dietary and lifestyle changes to further support healing of the whole body. Certain lifestyle and environmental factors may trigger flare-ups for Crohn’s disease. Because of this, it is important to cleanse the body of toxins to promote optimal healing. This may be done in the form of more traditional cleanses like liver or colon cleanses, or may be done via an ionic detoxification system. A functional medicine doctor will help you decide when is the right time in your recovery to begin a cleanse. You don’t have to suffer from the pain and discomfort of Crohn’s disease. It is possible to find relief from your symptoms without the negative side effects of steroids and antibiotics. Through functional medicine, you can lower stress, reduce inflammation, and heal your whole body so that you can enjoy a comfortable, normal life! At Pollack Wellness Institute, we believe in finding the source of your Crohn’s symptoms and working with you as an individual to promote healing. Our team is skilled in acupuncture, detoxification, enzyme treatments, and nutritional counseling. Because we offer such a wide variety of services, we can custom tailor the perfect wellness program for you. If you don’t want to accept a life of feeling “okay” and you want to restore vibrancy to your life – even with your Crohn’s diagnosis – schedule an appointment at the Pollack Wellness Institute today.